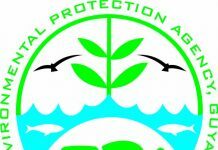 At the Environmental Protection Agency (EPA), we believe that the environment is everyone’s business. When it comes to plastic pollution, this motto holds true. This weekend, the international community will celebrate International Coastal Cleanup (ICC) Day. An annual event each September 15th, ICC is committed to educating citizens of all ages on pollution in our oceans, and encourages service projects throughout the world wherein citizens go out and help pick up marine debris. International Coastal Cleanup Day began more than 30 years ago through the efforts of Ocean Conservancy. Currently, more than 100 countries participate each year by organising cleanup events in their regions. However, International Coastal Cleanup Day goes beyond just picking up litter. Ocean Conservancy takes a citizen-science approach wherein volunteers are given a sheet to record different types of marine litter they pick up. 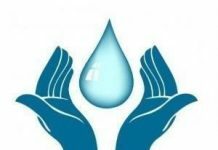 This information is then entered into the Ocean Conservancy’s Trash Information and Data for Education and Solution (TIDES) database. Collecting this information significantly influences policies to address trash in the ocean by taking the first step of analysing the trash problem. Furthermore, Ocean Conservancy is committed to fighting for trash-free seas, and for ending the flow of trash at the source. The organisation encourages volunteers to continue this efforts beyond the annual celebratory day; takes responsibility for beginning the cleanup in their communities; provides on their website support for how to plan a cleanup; and addresses questions and gives support for before, during and after the cleanup. This data is then analysed and used to influence policy on plastic waste within the region and on the international level. 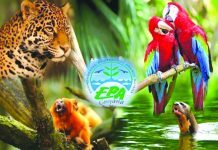 Annually, the Environmental Protection Agency, in collaboration with its partners, organises coastal cleanups throughout Guyana. 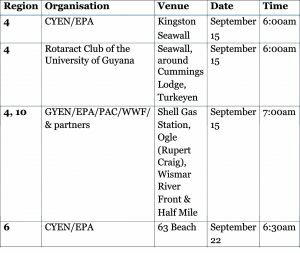 The following agencies will be joining the cleanup efforts: the Caribbean Youth Environment Network (CYEN); the Guyana Youth Environment Network (GYEN); the Rotaract Club of the University of Guyana and the Rotaract Club of Georgetown; Leo Club of Stabroek; other groups, environmental clubs, and individuals who want to make a difference. Additionally, data from last year’s coastal cleanup in Guyana shows that volunteers found up to 1,501 pieces of glass and 1,978 plastic bottles. Internationally, the Ocean Conservancy recorded 2,127,565 cigarette butts and 1,024, 470 plastic bottles. Most of what is found during coastal cleanups constitute single-use plastics. These are plastics used once and then thrown out. Some common single-use plastics are plastic bags, straws, water bottles, and most food packaging. Globally, we produce hundreds of millions of tons of plastic every year, most of which cannot be recycled. 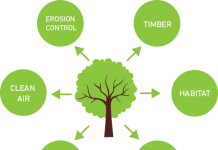 Given the nature of plastic, most plastics are not biodegradable; which means that they will not decompose into a natural substance like soil, but instead would degrade into tiny pieces after many years. This is particularly dangerous, because plastics are being found in marine food webs, and this can have a direct effect on human health. 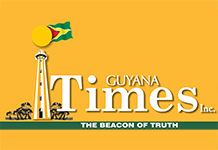 Domestically, Guyana banned importation of Styrofoam in 2016, and is currently working on a feasibility study to implement a ban on single-use plastic products by 2020. As a coastal country, the preservation of the coastline is important, with over 90 percent of Guyanese living along the coast. 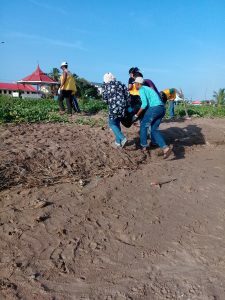 Although International Coastal Day comes around once a year, citizens are encouraged to conduct clean-ups in their communities year-round, and they can receive guidance on how to organise this effort on the Ocean Conservancy website. Coastal Cleanup efforts go a long way in bringing awareness to the issue, and show that small efforts can many times have an impact. Furthermore, education is the first step; we can be mindful of our use of single-use plastics by avoiding the use of straws, plastic bags, utensils, and can use a reusable water bottle instead of purchasing bottled water. As a country, we can invest in recycling facilities, and start composting projects that would allow farmers to use leftover scraps for their gardens. The waste issue calls for us all to be more innovative and creative in our approach. It calls on many sectors to get involved.